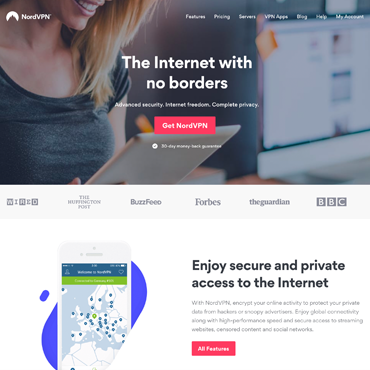 • NordVPN provides 4600+ Servers in 62+ locations. • supports Multiple Protocols like OpenVPN, PPTP, SSTP, L2TP and IKEv2/IPsec. • provides hundreds of servers optimized for P2P offering high level encryption and fast download speed. • provides dedicated Apps for Windows, Android, Mac and iOS. • provides proxy extensions for Chrome and Firefox. • supports all major OS including Windows, Mac, Linux, iOS, Android etc..
• You can Connect 6 different devices simultaneously with only one NordVPN account. • Different payment methods are accepted like Paypal, credit and debit cards, Crypto Currencies, Webmoney, Alipay and Others. Paypal, credit and debit cards, Crypto Currencies, Webmoney, Alipay and Others. One of my best vpns used last period, excellent for Netflix US.